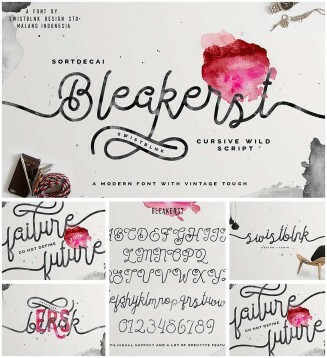 Introducing Bleakerst Script – hand lettered modern vintage mono-line script display typefaces, which is combining the style of classic typography with an modern style. 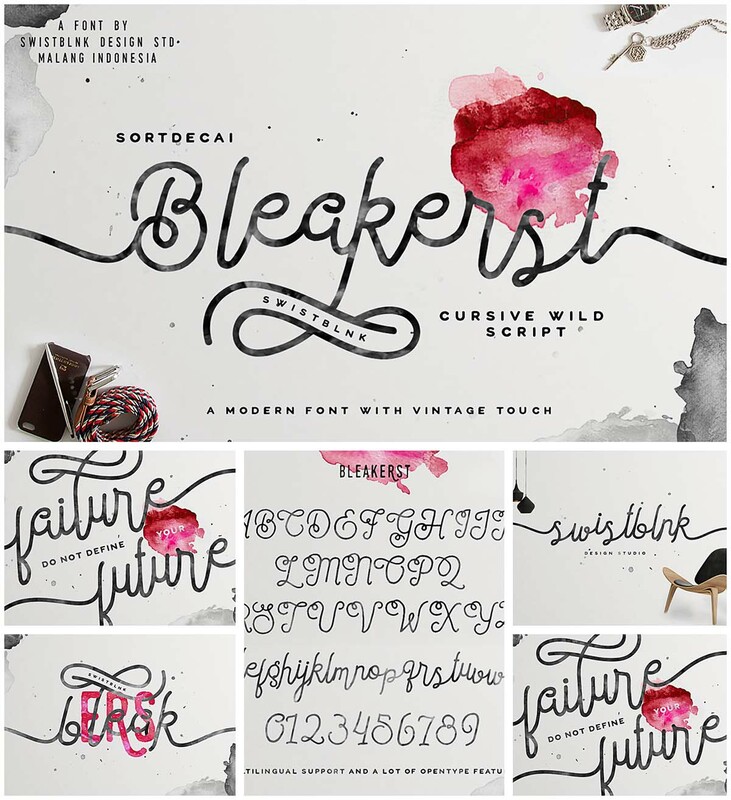 perfect for logotypes, postercs, postcards, ads etc. Tags: calligraphy, chalk, monoline, script, swash, typography, unique.